For decades, politics in Guyana have been split along mainly ethnic lines, between the majority Indo-Guyanese and Afro-Guyanese groups. Since 2015, there’s been a coalition of national unity, but a recent vote of no confidence by an opposition party dominated by Indo-Guyanese has brought the prospect of an early general election – and also simmering racial tension. 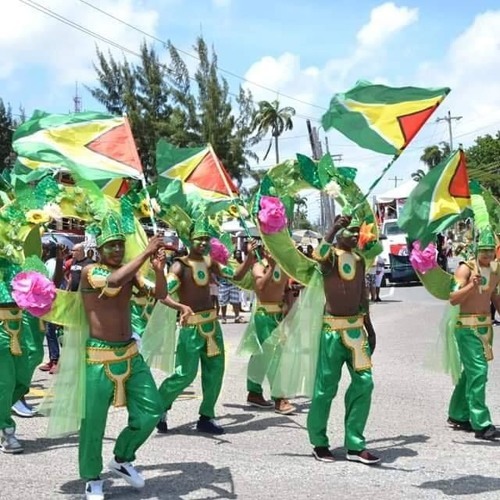 On Saturday (Feb 23rd) Guyanese celebrate Mashramani – a carnival which marks Guyana’s independence in 1970. Ahead of the event, Guyanese musicians have been taking the lead, with songs stressing racial harmony. Carinya Sharples reports from Guyana’s second city, Linden.